It's unclear if Omer Asik will be ready for the Pelicans' regular-season opener at Golden State on Oct. 27. METAIRIE, La. 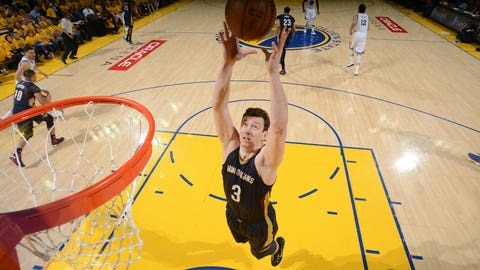 — The New Orleans Pelicans say center Omer Asik is expected to be sidelined about three weeks with a right calf strain. The club says the 7-footer strained his calf in practice on Wednesday. Asik is entering his second season in New Orleans. He appeared in 76 games for the Pelicans last season, averaging 7.3 points and 9.8 rebounds per game. Asik, who is from Turkey, is entering his eighth NBA season. He has played for Chicago, Houston and New Orleans, with career averages of 5.9 points and 7.7 rebounds. The Pelicans open their regular season at Golden State on Oct. 27. It remains unclear if Asik will be ready for that game.